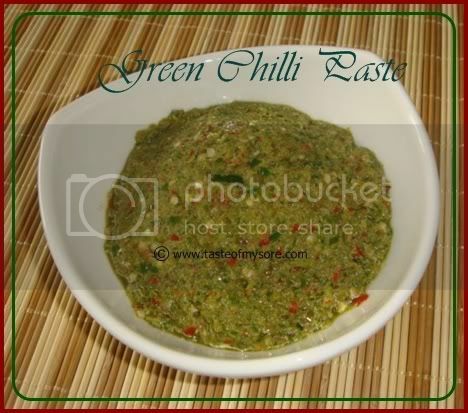 I use green chilli paste for many of my dishes. Few clear advantages 1.chillies are not wasted 2.paste can be stored for a longer time than whole chillies. Grind both of them without using water. Spoon it to a clean, dry container with proper lid. Store in refrigerator. You can store it for more than a month. 5. 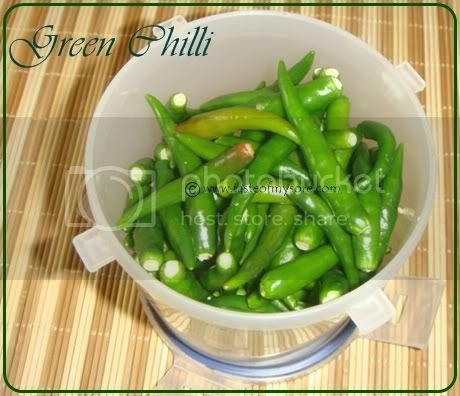 Whenever you take the chillies, ensure to wipe the inner lid and inner parts of the container if you find any moisture. Best is once a week, pat dry chillies, wipe the container and put back the chillies. Must thank you for the tip on how to store green chillies. This is a big help. I have been at my wits end on how to keep chillies and fresh coriander leaves from spoiling. :-) Can you please give a tip on how to store the latter? I started storing your way after I read that in some magazine. Really stays well! I like that chutney too - resembles thecha and must be so handy! 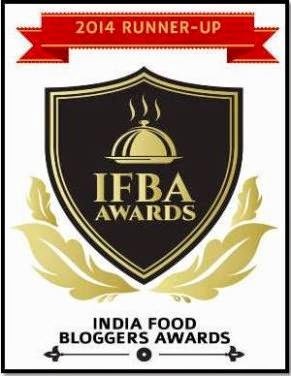 very true, I always keep this paste ready into refrigerator.. it makes cooking lot easier..
this is a good tip..i too make a paste of ginger garlic and green chillies adding salt and hot oil and use it when required.. I remove the stalk and that has been such a money-saver. As you said, I get chilli once every month or even longer now. For coriander leaves, I wrap it in a pawel towel and put it in a ziploc bag..stays fresh for 2-3 weeks. @ All, thank you for your appreciation. Try using news paper to wrap coriander leaves ;) stays much longer..paper towel is also good. Nice tip Lakshmi!Won't the colour of the paste change to a brown?While storing the whole chillies I place a paper towel at the bottom of the container to absorb the moisture.Curry leaves are stored in the same way too. u do not refrigerate the chilli paste right after grinding. ..transfer the chutney immediately to a container, close it tight and put inside the fridge. It remains without changing its color for atleast 2 weeks. Do not dip a wet spoon into the container. Even if color changes nothing happens as it does not reduce the spicynes or anything else. Nice tips Lakshmi, ii itoo store chilis this way. Thanks for this one LG..another lovely tips..
its a useful post to everyone. Iam storing my chillies for one month and i dont want use frozen chillies. this time i will store my chillies ur way. This is absolutely noting like the recipe for Thai Green Chilli paste to use for Thai green curry! You've got one ingredient right out of about 7!! Thanks for the tip - I'll try this - maybe have some in the fridge and freeze some too and see how that turns out. @Nomadic Marketer - you aren't too bright are you? Where did this tip say anything about Thai Green Chilli paste - something completely different.